"The Crystal Ball" by J.W. Waterhouse's oil-on-canvas. 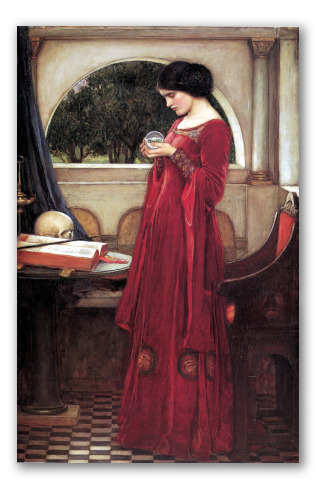 This oil on canvas, entitled "The Crystal Ball", was painted in 1902 by John William Waterhouse. 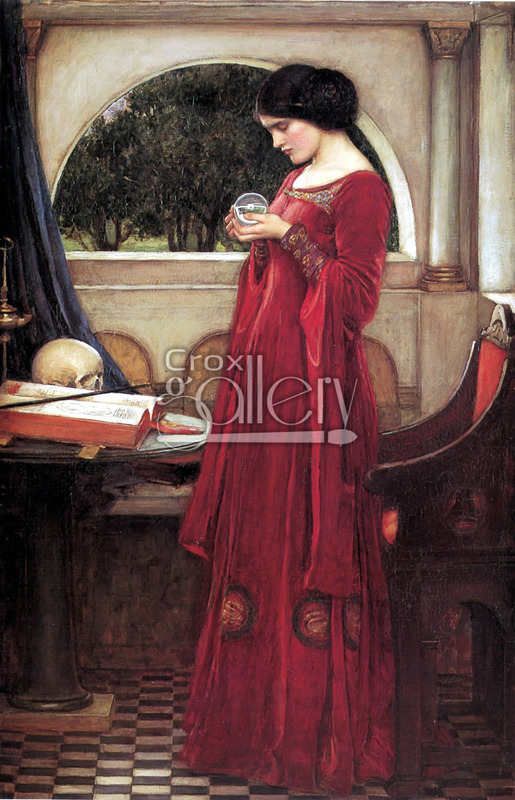 The principal figure in this work is a woman attentively observing the crystal ball. The background shows the interior of a construction in the style of the Italian Renaissance, figures in vertical and horizontal lines, combined with semicircles. It currently belongs to a private collection.